Who will be the first operator to offer poker team tournaments? Image 1. 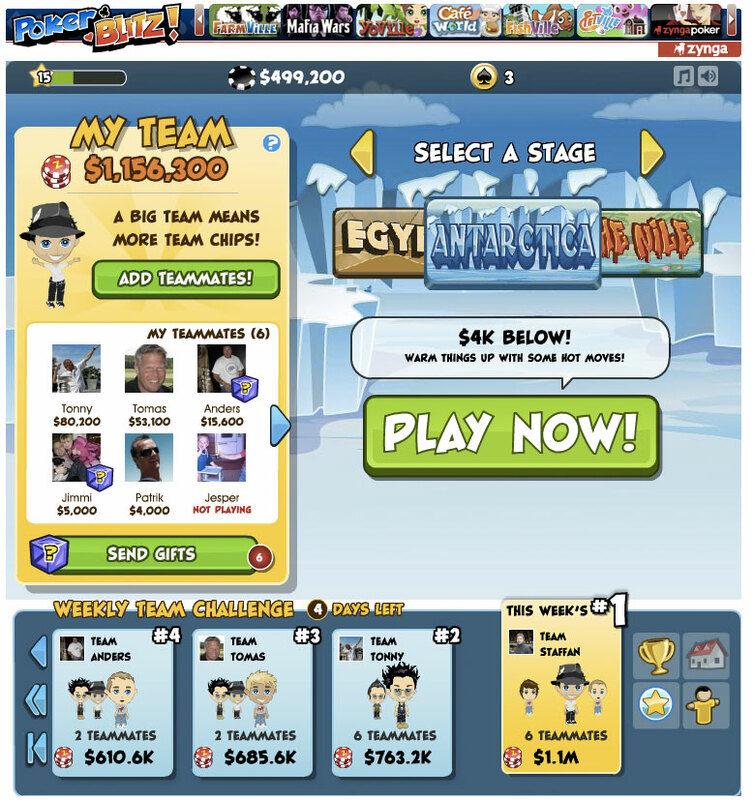 Zynga’s Facebook App Poker Blitz. Last week Zynga launched a new game on Facebook called Poker Blitz. It is a poker game that have many cool features, features I’m missing on poker sites today. They have a “Weekly Team Challenge” where you get “cash” depending on how you and your team mates play the game, but you also get points depending on how well you play. When you get enough points then you are promoted to the next level with the possibility to play different games. If you haven’t tried out Poker Blitz yet then do, it will give you inspiration for new features in your poker clients!